With horizontal resource plays continuing to set the tone for North American operators, it comes as little surprise that the forecast calls for an increase in hydraulic fracturing services in the years ahead. Samir Nangia, a senior principal with PacWest Consulting Partners, says there are two factors driving proppant demand: increasing horizontal frac stages and more proppant per stage. In combination with increasing proppant per stage, Nangia says it is driving higher proppant growth per year. PacWest Consulting forecasts proppant growth of 17 percent per annum between 2013 and 2016. With research and development continuing to yield breakthroughs in using proppant as a delivery vehicle for chemicals down hole, sand management is becoming increasingly challenging in the face of growing concerns about the effect of dust on worker safety. Growing demand will continue to drive innovation and require solutions, Nangia says. Research and development of new types of proppant capable of serving as delivery vehicles for chemicals, or as information gathering mechanisms down hole are in the early stages, but are likely to draw sustained interest from exploration, drilling and production companies, points out Senjit Sarkar, a principal with PacWest Consulting. Market share continues to grow for Houston-based Loadcraft Site Services’ mobile sand silo systems, which can dramatically improve the handling of proppant at a well site and reduce the storage footprint, according to Vice President Greg Garcia. In April, the company was spun off from Loadcraft Industries, a rig and oil and gas equipment builder (by Solaris Energy Capital) and is the exclusive distributor of silo systems built by the former parent company, he says. Loadcraft Site Services introduced the sand silo systems in 2012, Garcia says. Silos are not new to the oil patch, but the equipment traditionally has held less sand, yet required more space on location. Transportation restrictions also hindered traditional silo designs, he adds, noting that more uniform transportation laws, and the need to cut expenses and reduce footprints at well sites while ensuring worker and environmental safety are driving a resurgence. Loadcraft’s sand silos, which are 50-feet tall, can reduce the on-site footprint by up to 60 percent, compared with conventional horizontal storage containers, Garcia maintains. “We focused on designing a product to increase storage capacity on site for the purpose of increasing efficiencies, reducing expenses, improving the environment and worker safety, and ultimately, improving profits for all involved: the oil and gas operator as well as the service company,” he says. Loadcraft Site Services’ mobile silos are 50 feet tall and can reduce the on-site proppant storage footprint by up to 60 percent, compared with conventional horizontal storage containers. The system is operated electronically from a single point of control, and features a patent-pending trailer for transporting the silos and erecting them on location. As the number of frac stages per well continues to increase, the need to keep more sand on site has grown in step, Garcia says. “Two years ago, crews fractured an average of two stages a day, but that number has grown to five stages daily,” he estimates. With frac stages sometimes requiring up to 500,000 pounds (or more) of sand per stage, one well can require 10 million pounds of sand to fracture and complete, he calculates. A three-well pad with an average of 25 stages per well would have 75 total stages and require 30 million-40 million pounds of sand during the course of completion, Garcia points out. Conventional storage equipment is capable of housing about 1 million pounds on site, considering three to four storage containers, he says, while the new silos can accommodate up to 2.5 million pounds on site, he relates. “Obviously, by having two and half times the capacity on site, the entire supply chain logistics are much more efficient and demurrage expenses are reduced substantially or even eliminated,” Garcia says. With each truck capable of hauling 50,000 pounds of sand, 600 to 800 truckloads can be required on a three-well site, he says. The silos also reduce labor expenses by requiring fewer on-site employees, he adds. The conventional horizontal containers are powered by diesel engines and hydraulic systems that require four to six persons to operate. In contrast, only one to two persons are required for an entire silo system, Garcia says. A single diesel-fueled generator powers the silo system, which is operated electronically from one point of control, he says. Operating and labor cost reductions translate to an annual savings of $750,000 to $1 million per frac fleet, Garcia says. The system includes a patent-pending trailer that not only transports the silos, but also erects them on site, he says. “When we arrive on location, we can have the entire system up and functioning, and ready to start loading sand in a matter of hours,” Garcia notes. The equipment addresses nearly all the silica dust origination points as identified by the National Institute for Occupational Safety & Health’s study specific to frac operations. And with the Occupational Safety and Health Administration considering tightening personnel exposure limits for silica dust on well sites, Garcia says Loadcraft will continue to look for improvements to decrease dust exposure. Prop Equipment Systems Inc. (PSI), headquartered in the city of Sturgeon County, Alberta, continues to make inroads with its PropMaster™ mobile frac sand silo. Seven silos around a belt can deliver nearly 2 million pounds of proppant to the blender using one-third the footprint of conventional storage equipment, says Ramon West, vice president of TBM Sand & Storage Logistics (TBMS), the PropMaster sales and leasing provider in the United States. The PropMaster can be incorporated easily into a customer’s storage setup, according to West. The increase in storage capacity translates to simpler sand logistics and reduced demurrage, he adds. The latest PSI innovations include a prototype conveyor belt with emissions reduction built in and dust control to scrub dust from pneumatic vent air. The industry standard sand delivery process creates dust in and of itself, he points out. “You are dumping sand out of a gate onto a belt, shooting it onto another belt running at high RPM to keep the momentum up,” West explains. “All these transfer points are where turbidity and dust emissions happen. The PropMaster™ mobile frac sand silo from Prop Equipment Systems Inc. can deliver nearly 2 million pounds of proppant to the blender using one-third the footprint of conventional storage systems. Distributed by U.S. sales and lease provider TBM Sand & Storage Logistics, the self-standing PropMaster system discharges up to 22,000 pounds of proppant per minute. “PSI’s integrated dual belt regulates sand volume with belt speed rather than gate control, utilizing a ‘choke fill’ process that keeps RPM low. The PropMaster chokes off at the belt, and the belt carries sand into onboard hoppers, which are monitored to aid belt speed regulation. The hoppers then choke fill the blender,” he explains. The unit includes two compartments with load cells accurate up to 2 percent of the total net weight, and a 180-degree swiveling gravity discharge chute, West details. Loading is accomplished pneumatically through the four fill pipes, or by special-order, top-fill hatches for telebelt use. There are also top vents to reduce dust on location and vent down pipes for dust collector applications, West says. The units feature two hydraulic systems: one to stand the unit, powered by the tractor, and a second to control compartment gates with solar over hydraulic power. The height-adjustable swiveling discharge chute allows for flexible spotting and placement around the blender or use with conventional t-belts, West says. Gravity flow works 100 percent of the time, is free, and eliminates downtime caused by refueling, belt maintenance and breakdowns. The silos discharge up to 22,000 pounds a minute, he notes. TBMS also continues to find success with its containerized mobile frac sand storage system that has been in operation since early 2011. The system provides bulk commodity storage at transloads or remote locations, and doubles as the means of transport, according to West. This system was designed and implemented by Claude Lavoie, president of the TBM group of companies. It includes custom storage boxes that can be kept on remote locations and shipped easily by truck or barge, West says. Preferred Technology, an affiliate of proppant supplier Preferred Sands, has seen a 60 percent reduction in respirable dust from applying DustPRO™, reports Marc McQuesten, general manager of the DustPRO line. 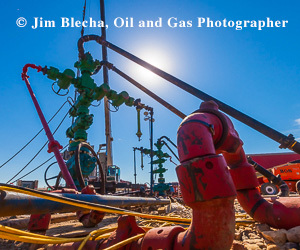 The technology is designed to help oil field service, and exploration and production companies meet and exceed current and future silica dust exposure limits set by OSHA, he says. DustPRO™ proppant is based on Dow Chemical’s patent-pending Preferred DC™ technology, which is compatible with frac fluids and does not alter proppant characteristics, McQuesten says. Two years in the making, the system is environmentally friendly and cost-effective, he says. Preferred Technology’s DustPRO™ proppant technology reduces respirable dust by 60 percent using a minimal coating based on Dow Chemical’s patent-pending Preferred DC™ technology. The minimal coating is compatible with frac fluids and does not alter proppant characteristics. Capital savings result from lower equipment costs while controlling dust throughout the entire supply chain. Efforts to combat dust with engineering solutions certainly help, but Preferred Sands’ objective was to prevent dust in the first place, he explains. “We came to the conclusion internally that no matter what you do during the process of washing sand, it does not matter how clean you get it, you still are going to generate dust when you pneumatically transfer it,” McQuesten comments. Preferred Sands began researching applying a minimal coating to the sand and developing an application method, he reviews. “It is cost effective and ultimately helps the oil field service sector meet and exceed current and proposed silica exposure limits,” McQuesten states. The first applications were done at a sand transload facility in Colorado. Preferred has piloted four wells in Colorado with good results and has more test wells on the horizon, according to McQuesten. The product marks the second collaboration between Preferred Sands and Dow Chemical. Last year, the two companies worked together to develop Preferred RCS proppants fueled by Teraforce Technology, the first nonphenolic, resin-coated sand for proppants used in hydraulic fracturing, McQuesten notes. With respirable crystalline silica dust identified as a health, safety and environmental concern for federal regulators, KSW Environmental, a division of Houston-based Dupre Energy Services, has developed a method and the equipment for dust control using a vacuum or “local exhaust ventilation” (LEV) system, says Santo Petitto, general manager of KSW Environmental. The company’s licensed technology was issued a method patent in October (U.S. patent 8562720) and an apparatus patent in January (U.S. patent 8636832 B2), he says. The KSW Environmental unit includes a 45,000 cubic foot per minute dust collector attached to the sand chief, t-belts, dragon’s tail, hopper and blender, Petitto explains. The configuration is connected to larger manifolds, and collected dust is augured into large sacks, typically capturing about 800 pounds of respirable dust per 300,000 pounds of sand, Petitto says. KSW Environmental, a division of Dupre Energy Services, has developed a new dust control method that uses a local exhaust ventilation system to collect respirable dust from proppant. The system captures the dust in large sacks from a 45,000 cubic foot per minute dust collector attached to the sand chief, t-belts, dragon’s tail, hopper and blender. Controlling dust on site not only improves employee safety, but also helps service companies save on equipment wear from dust affecting millions of dollars’ worth of high-pressure pumps on each location, he goes on. But a primary driver in the march to reduce respirable silica is OSHA’s proposal to cut permissible exposure limits (PELs) to silica dust in half, Petitto points out. OSHA is proposing to reduce the PEL from 100 micrograms of respirable crystalline silica per cubic meter of air averaged over an eight-hour day, to a PEL of 50 micrograms, he says. In addition, the proposed rule creates new requirements for training, engineering controls, respiratory protection, record keeping, and medical surveillance. KSW Environmental’s system addresses all six areas identified by the National Institute for Occupational Safety & Health as sources of equipment-generated dust, Petitto adds. As of mid-June, the company had mitigated respirable dust in fracturing jobs involving more than 6,000 total stages, he reports. The system was developed by a company known as Frac Sand Dust Control. In late 2012, Dupre acquired the exclusive license to FSDC’s systems and technologies along with its frac site dust collection business and name, and formed KSW Environmental to focus exclusively on frac site dust mitigation. In addition to deploying its equipment in the field, the company has presented exposure monitoring test results at meetings of the Service, Transmission, Exploration & Production Safety Network (STEPS), Petitto says. The organization’s Respirable Crystalline Silica Focus Group is working to identify solutions and bring awareness to the respirable dust issue, he says. KSW Environmental’s findings from five customer tests with 88 personal breathing zone (PBZ) samples showed customers in compliance with OSHA exposure limits, according to Petitto, but the company is working to improve that performance even further. He says the company initially focused in areas such as the Marcellus Shale, where Frac Sand Dust Control’s solution was developed, but the systems now are deployed in the Marcellus, Permian, Eagle Ford and Rocky Mountains. While dust control is a major concern, companies continue to deploy innovative methods of using proppant as a mechanism to deliver chemical treatments down hole. The Enduro Tech™ fracturing system from Oklahoma City-based Energy & Environmental Services includes a solid chemical the size of a proppant grain that is mixed with the proppant and delivered into the formation during frac pumping, says Bob Hall, director of stimulation chemistry. The Enduro Tech™ system from Energy & Environmental Services includes a solid chemical the size of a proppant grain that is mixed with the proppant and delivered into the formation during frac pumping. Designed to reduce well maintenance costs by limiting problems associated with corrosion, scale inhibition, hydrogen sulfide, and paraffin emulsions, solid chemicals can double or even triple production life. The solid chemical delivery system can be batch-treated down hole as well as incorporated in frac sand in well stimulation applications, he says. The application provides a uniform, long-lasting steady feedback of treating chemicals along with the produced fluids, he adds, and can be more economical and effective than applying liquid chemicals. “As fracturing has developed over the past 50 years, the chemistry needed to enhance production has continued to evolve to expedite the best possible solutions for the oil and gas industry,” says Hall, who has been involved with fracturing since the 1960s. EES has experienced a high degree of success using a patented amorphous silica that absorbs concentrated chemical, Hall states. The silica has advantages over naturally occurring diatomaceous earth and other substrates because it is designed and manufactured to absorb and release as much as 75 percent of its weight in liquid, he says. Additionally, pellets have been developed to enhance the use of bypass feeders for treating applications, Hall goes on. He acknowledges that meeting environmental guidelines while maintaining the effectiveness of the chemicals, without using hazardous materials, is a top priority in EES’s solid chemical development. The company’s solids products are 70-75 percent active chemicals as opposed to liquid chemicals, which range from 15 to 30 percent active, according to Hall. One pound of solid product can equal up to five gallons of liquid chemical in many cases, he says. The solid chemicals have been used in frac operations, batch treatments and in bypass feeders in Oklahoma, Texas, Kansas, Colorado and New Mexico, Hall reports, as well as internationally in South America.